Undoubtedly this stance was always what Dortmund wanted but will have been heightened after Bayern stole Mario Götze by activating the release clause in his contract. Lewandowski has intimated that he wants a new challenge and as he only has one year left on his contract he has forced Dortmund in to a position where they would have to sell him or face losing a £30m asset for free next summer. They would therefore surely be willing to agree to sell him to the Premier League rather than their main domestic rivals. Man United have long been linked with him, Chelsea desperately need a striker and Man City may feel it too good an opportunity to miss. So could he end up in England, and if so, where? Chelsea would seem to be the most obvious landing spot for Lewandowski. Although they are thought to be deep in negotiations with Edinson Cavani of Napoli, Lewandowski is a player whose destructive capability Jose Mourinho has witnessed first hand. It was the Pole’s four goals against his Real Madrid side that elevated him in to the real upper echelon on a world stage. Cavani and Lewandowski are similar players. Both of them have wonderful technique, good pace and strength and are deadly and consistent finishers. The advantages of going for Lewandowski are the price, thought to be at most £30m rather than £52m, and the fact that he speaks fluent English and has played in a similarly physically demanding league with great success. He is used to the system and showed at Dortmund how good he can be with three attacking midfielders behind him which is exactly what Chelsea have. 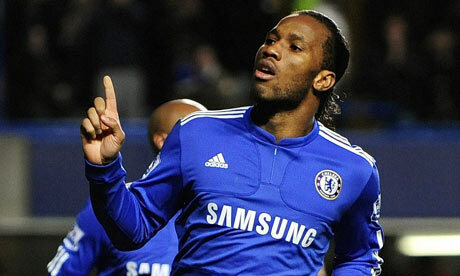 Chelsea also have the added bait of Romelu Lukaku who Dortmund are known to admire. Man United is on the surface a less obvious fit but it makes a whole heap of sense. David Moyes has historically preferred a 4-4-2 or 4-4-1-1 system and if United do allow Wayne Rooney to leave they would need a world-class option to pair with Robin van Persie. Both he and Lewandowski would be comfortable roaming around out of the box if required and having to account for both of them would give most defences fits. Lewandowski is a very hard worker, which is a quality David Moyes admires and prises, and the lure of moving to the English champions should be strong for Lewandwoski. Man City are the outsiders but shouldn’t be counted out. New manager Manuel Pellegrini is being given the playing staff to operate his preferred 4-2-3-1 but there is still room for another attacker. If they decide not to move for Isco they may well go for Lewandowski. That would allow Sergio Aguero to drop in to the number 10 role where he played at times last year and where he could be very dangerous running from deep. Lewandowski has the technical skill to work with the three men behind and the finishing ability to make the most of the chances they would create for him. All three of the teams could afford the price and all three could very much use Lewandowksi in their sides. He would offer qualities that none of them have and allow others to be better maximised. Dortmund will not sell Lewandowski to Bayern and rather than losing him to them next summer for free they would be better trying to sell him now. The big three Premier League clubs should have the advantage over Monaco or PSG and with Real Madrid focusing their attention on Luis Suarez, we could be set for a top three battle to sign Robert Lewandowski. Much has been made of the transition at Premier League champions Manchester United. The Old Trafford club will have to come to terms with the fact that Sir Alex Ferguson will no longer be the man in charge, with new boss David Moyes to assume the position next season. 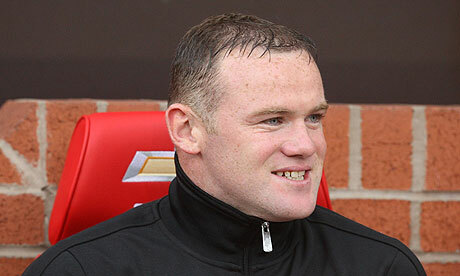 However, a key player could also be on his way out in the form of Wayne Rooney. The England international is said to have handed in a transfer request – however realistic options on where the forward could move to are few and far between. United have stated that Rooney is not for sale, but if the attacker insists on leaving the Premier League champions could well be forced to part with the forward. Those who bet on the Premier League will know that the Old Trafford outfit will be reluctant to sell Rooney to one of their domestic rivals, despite links with Chelsea and Arsenal of late. The favourable odds are on Rooney moving abroad should he leave Manchester United. The attacker’s salary and the potential transfer fee will also be an issue. Rooney is rumoured to currently earn more than £200,000 per week at Old Trafford, and the number of clubs that could, or would be willing to, come close to offering this are minimal. Add to this a transfer fee likely to be well in excess of £20 million, and Rooney’s purchase is a very expensive one. Barcelona have been linked with Rooney, but a move to the Camp Nou seems unlikely given the Catalan club’s policy to build from within. Real Madrid are unlikely to be interested, while a move to an Italian club like Juventus would force Rooney to drop his salary considerably. Bayern Munich have the financial means to buy him, but have publicly stated that they are not interested. Realistically this only really leave Paris Saint-Germain, with betting tips pointing in this direction. A move to the French capital would make sense, as Carlo ancelotti’s men are on the rise, have the financial clout to buy him and have former team-mate David Beckham in their ranks. However, despite PSG having ambitions to become a major force in Europe, Rooney would have to settle for second-rate domestic football in Ligue 1. Although Rooney may well be unsettled currently, with Moyes coming to the club there is no guarantee that he won’t see the changes at United as an opportunity to reinvigorate his career at Old Trafford. Given the obstacles such as his wages and transfer fee, the lack of big-name suitors and United’s reluctancy to sell to another Premier League club, and Rooney does not have a lot of options. For the first time since 1996 there is no English representation in the quarter-finals of the Champions League. Despite this, the draw has still thrown up some potentially exciting ties that are bound to produce plenty of goals and talking points. Probably the least glamorous looking of the ties but has the potential to be one of the most entertaining. Both teams have been extremely impressive in getting this far. Malaga topped their group, remaining unbeaten, and finishing ahead of AC Milan and Zenit, before overturning a first-leg deficit against Porto in the last 16. Dortmund meanwhile were put in the so-called Group of Death alongside Manchester City, Real Madrid and Ajax. They too remained unbeaten though, and also finished first in their group before sweeping aside Shakhtar in the last 16. While most people will look at Isco as Malaga’s main threat, the experience they possess with the likes of Joaquin, Toulalan, Saviola and Demichelis is not to be under-estimated though, and they will be prepared for the occasion. Dortmund’s youth and attacking style may just prove to be too much for the Spaniards however, and with the guaranteed goals and creativity of Mario Gotze, Marco Reus and Robert Lewandowski along with home advantage in the second leg, the Germans may well be a good outside bet to make it all the way to Wembley. The second favourites meet the rank outsiders in this quarter-final tie. Madrid cruised through their group, even though they finished second to Dortmund, and then controversially saw off Manchester United over two tense games. Galatasaray just edged through their group ahead of CFR Cluj and their attacking prowess saw them score three in Germany to get past Schalke. There is no doubting the Turkish side’s attacking options. 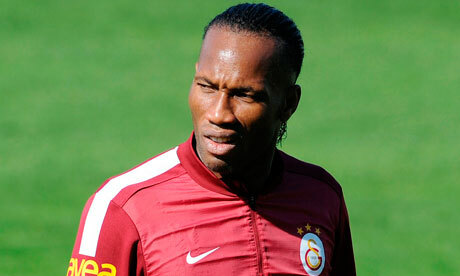 Didier Drogba and Wesley Sneijder were the big name signings in January but they also boast the joint top scorer in the competition with Burak Yilmaz. Add to this the experience of Felipe Melo and Hamit Altintop in the midfield and they certainly have a strong core to their team. Over two games though it is hard to see a defence which has already conceded in all but one game in the competition so far this season containing the likes of Cristiano Ronaldo and company. Galatasaray do have the advantage of being at home for the second leg but they cannot afford to be more than a goal or two behind after their trip to the Bernabeu. Undoubtedly the tie of the round, the big-spending French team against the side who have raised most of their players through their youth team. Despite a couple of wobbles along the way against Celtic and in the first leg against AC Milan, the Catalan giants still remain the team to beat. As they showed in the second leg against Milan they are still unstoppable when they are on form. PSG were very impressive in topping their group and despite a nervy second leg against Valencia they deservedly fought their way through. The biggest problem for the French side in the first game will be the continued suspension of Zlatan Ibrahimovic. To have any chance against Barcelona they will need their strongest team and it will be a big blow to not have their talisman. Not that PSG are a one-man team though. Ezequiel Lavezzi continues to show his talent with five goals in this tournament and they have the exciting young talents of Lucas Moura and Javier Pastore. The problem they may find though is getting the ball to these players, but if they can there is no doubt they can cause Barcelona problems. It would be no surprise if Paris Saint-Germain got a positive result at home but as Milan found out in the last 16, it needs a big lead to take to the Nou Camp for the return game. The final tie pits together two of the heavyweights of European football over the years. Bayern have been very impressive to this stage and despite their second-leg defeat to Arsenal they still dominated in terms of attempts at goal and possession. Juventus came through a slow start to qualify first from a group containing Shakhtar and defending champions Chelsea, before brushing aside the challenge of Celtic. Bayern will be determined to make amends for their final defeat to Chelsea last year and they certainly have a team who find it easy to create chances and, certainly at domestic level, score goals. They are coming up against a side though that is more of a stereotypical Italian team. Solid at the back and good in possession, Juve play the game at their own pace. They may be short of big names but they have an Italian core that are well drilled and know exactly what they are doing. This is probably the hardest of the quarter-finals to call, but it may well be that Bayern’s extra options in the attacking third will be enough to see them through; but only just. Bayern Munich vs Arsenal: Last hope or no hope? Following last week’s eliminations of Manchester United and Celtic, Arsenal are now Great Britain’s last remaining representatives in the Champions League. Fans not susceptive to tribalism may, for one night only, cheer on a club simply for being close to home. But should they bother? Gunners fans will point to the absence of Franck Ribery through injury and Bastian Schweinsteiger and Jerome Boateng through suspension as causes for optimism. Add to that the potential absence of Arjen Robben due to a calf problem and Bayern are without some key ingredients in what has been an outstanding season to date. But with the German side already holding a 3-1 advantage, with three away goals to boot, everything points to an Arsenal exit. The current Bundesliga leaders have lost only one league game and one European game all season. In short, the team who were once called “the invincibles” are facing their (almost) modern day equivalent. And in order to overcome them, Arsenal require three goals without reply. This against a team that has conceded only nine home league goals all season, and only one away! With statistics like that, it is no wonder football observers are wondering what will happen when Pep Guardiola takes charge next season. It is a scary prospect when they are already near-perfect without him. Arsenal’s last outing was their 2-1 league defeat against Tottenham Hotspur, and Arsene Wenger will be hoping for the perfect response from his team. The only downside is that the perfect response may still not be good enough against a side that almost invariably score. Should they do so, the pressure on Olivier Giroud and Santi Cazorla will be huge. Their only hope is to score first, keep it tight at the back, and play the game on their own terms. The speed of Theo Walcott on the counter-attack could be crucial, but against a side that don’t need to leave gaps, it may be in a set-piece – at least for the opening goal – that Arsenal’s best hope lies. With Jack Wilshere ruled out for three weeks and Lukas Podolski also missing, Arsenal will hope the players they can call on will prevent it being a hat-trick of last-16 eliminations. But with Manuel Neuer in goal, the likes of Philipp Lahm and Javi Martinez in front of him, and Thomas Muller and Mario Mandzukic a constant threat up front, it will take an almighty performance from the London side. Anything is possible in football, but some things are more possible than others. On Wednesday evening, a team who have been all-but-invincible since August won arguably their biggest game of the season. Despite being 17 points clear in the Bundesliga, qualifying from their Champions League group at a canter and already with one foot in the quarter-finals, it was a German Cup match against Borussia Dortmund that ended any doubt that Bayern Munich are, once again, back to their best. The 1-0 win, courtesy of a first-half strike by Arjen Robben, finally ended Bayern’s three-year wait for a victory against the side who, in recent times, have replaced them as the top team in German football. While Dortmund ended last season with a second successive league title, Bayern suffered a hat-trick of near-misses, finishing runners-up in the league, losing to Chelsea in Europe and being humiliated 5-2 by Dortmund in the German Cup final. So to heal old wounds, it was the perfect competition to finally seal the win that ends an unwanted statistic and sees them one step closer to a potential double of their own. Much has been said about Pep Guardiola’s imminent arrival at the Allianz Arena. Hyperbole has it that he will single-handedly transform the Bundesliga into football’s hottest destination, and his new team into Barcelona Mark II. But the truth is Bayern do not require transformation. Under current manager Jupp Heynckes, they are on course for their most successful season in years. And there should be no doubt that the frustration of ending last year trophyless, particularly in the Champions League, makes them a very dangerous proposition. In fact, events at Camp Nou pending, the Germans could go into the quarter-finals clear of two of Barcelona, Real Madrid and Manchester United. Come next season, Guardiola could be asked to continue, rather than reintroduce, success; because there is a very real chance that his new team could be the first German side to win the perfect treble, ending their three-year wait for a trophy in some style. Having finally ended the hoodoo of Dortmund’s domestic and personal dominance, their fans may just see the club’s outstanding success of the mid-70s as a benchmark if not to be matched then certainly attempted. The Champions League returns this week with the second quartet of last 16 fixtures; one of the standout games must be Arsenal’s match-up with Bayern Munich. The Germans are looking ominous domestically and on the continent, whereas the Gunners’ inconsistency is blighting their season. Arsenal go into the tie as underdogs but should be by no means written off. Much has been made of Arsenal’s toiling in the Premier League, with a similarly slow start to the campaign that frustrated Arsene Wenger last season. The north London side have rarely been in the top four so far in 2012-13, and currently sit four points adrift of rivals Spurs in the final Champions League qualification berth. A shock 1-0 home defeat to Championship side Blackburn made the headlines for all the wrong reasons for the Emirates faithful at the weekend, and resulted in Arsenal’s elimination from the FA Cup. Given that Arsenal beat Rovers 7-1 in the corresponding fixture in the Premier League last season, alarm bells are ringing. However, despite this the Gunners’ form has been showing some signs that improvement could be just around the corner, with wins over West Ham, Stoke, Swansea and Sunderland since the turn of the year. 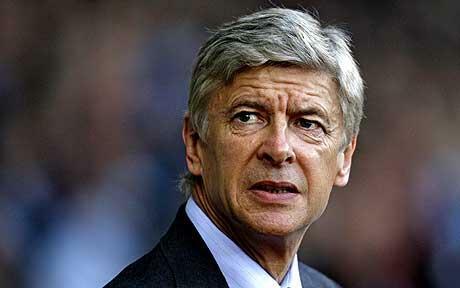 Despite this, Wenger will not be enamored with his side’s results against the bigger teams. The Gunners have picked up only one point from their last meetings with Manchester United, City, Liverpool and Chelsea. For Arsenal to stand a chance in the tie against Bayern a big first leg performance in England is needed on Tuesday night. If Wenger’s men can take a lead to the Allianz Arena, no matter how small, it could well be telling. 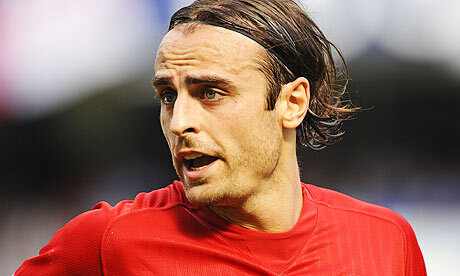 However it calls for 90 minutes of concentration and a strong performance against a top side. Bayern have been stung by Borussia Dortmund’s dominance domestically over the last two seasons and seemingly have a point to prove after they lost out in the final of the Champions League last season to Chelsea. Jupp Heynckes’ men eased through their group this time round and their form in the Bundesliga has been intimidating of late; they have won their last five games, scoring 13 goals and conceding none. Included in this was a 4-0 victory over Schalke, a side that outplayed and beat Arsenal in the Champions League group stages. With the attacking threat of Franck Ribery, Arjen Robben, Mario Gomez and others, Bayern are rightly favourites. However, if Arsenal can come out of the blocks quickly in the home leg and take the game to their opponents a first leg result is there for the taking. Bayern Munich finally ended the recent hex that Borussia Dortmund have over them on Sunday, with a 2-1 victory over their rivals in the German Super Cup. Although Thomas Muller scored the decisive goal for the Bavarian giants, Mario Mandzukic stood out in a commanding display in his first competitive game at the Allianz Arena. Mandzukic’s rise to prominence over the last number of years has certainly been impressive; the 26-year-old has recorded lethal goalscoring tallies for NK Zagreb, Dinamo Zagreb and most recently Wolfsburg. Despite Croatia being eliminated in the group stages of Euro 2012, Mandzukic starred by scoring three goals in the absence of senior countryman Ivica Olic. Ironically, Mandzukic and Olic swapped clubs after the international tournament, with the 26-year-old earning his big move. Bayern’s star-studded squad has lacked depth in the centre forward position over recent seasons, with Jupp Heynckes crying out for competition for Germany international Mario Gomez. Die Roten have addressed this concern ahead of the new season with the additions of Mandzukic and Claudio Pizarro, but it appears that the Croat may well have a more important role to play than initially expected. In Bayern’s 4-2-3-1 formation Gomez is the figurehead of the side’s attack, and Mandzukic himself admitted upon arriving in Bavaria that first-team opportunities may well be limited. However, with Gomez undergoing ankle surgery of late and set to be sidelined for the first part of the campaign, the new man has a chance to impose himself. Mandzukic’s performance in the Super Cup will have impressed Heynckes and the club’s supporters. A delightful first touch and finish gave the hosts the lead early-on in the encounter, before an inch-perfect through ball set Arjen Robben free of the Dortmund defence in the build-up to the second goal. Mandzukic’s link-up play with his team-mates, ability to hold up the ball and tireless effort shone through in the victory. The win ended five consecutive victories for Jurgen Klopp’s men over FCB, and last season’s runners-up were good value for the result. Despite Dortmund coming back into the game in the second half, Bayern deserved to triumph in an energetic and accurate display seldom seen in 2011-12. The result is an early statement of intent by Jupp Heynckes’ men, who will fight tooth and nail to win their domestic crown back. Mandzukic’s part in that effort could well be telling, as the Croat looks to build on a mightily-impressive debut. Didier Drogba has finished his Chelsea career on a high after their historic victory in the Champions League final against Bavarian giants Bayern Munich. However, as well as experiencing extreme highs, the African legend’s last season with the Blues has also seen its lows. Just a few games into the 2011-12 season you could already see that the arrival of Portuguese manager Andre Villas-Boas had caused an upset amongst the old guard at Chelsea. His micromanagement of the west London outfit was heavily criticised; there were even reports that he would stand and watch players who were coming in late at the Blues’ training ground in Cobham. Along with this, his handling of the players came under the microscope after failing to restore £50m Fernando Torres to his former self, and leaving Chelsea legend, Frank Lampard, out of the starting line-up on numerous occasions. Many will see Chelsea’s 1-1 draw with Championship side, Birmingham City, as one of the biggest turning points in AVB’s sacking. After not only failing to beat Chris Hughton’s side on their own turf, a media uproar was caused by a supposed Didier Drogba half-time team talk, that Villas-Boas rashly denied. As well as this, the 3-1 loss at the hands of Napoli, and a 1-0 defeat to mediocre West Bromwich Albion, tipped the balances and forced Roman Abramovich to make the bold and brave decision that paid off massively. When Andre Villas-Boas’ assistant manager, Roberto Di Matteo, was announced as caretaker for the rest of the season, no one would have thought that they would be holding the Champions League trophy, for the first time in their history, a few months later. The former Chelsea midfielder started off by picking up from where his ex-colleague left off, with a 2-0 away win over Birmingham City in the FA Cup. Almost a week later, Robbie was in charge of turning around a 3-1 deficit against Napoli in the last sixteen of the Champions League, and he delivered with an astonishing 4-1 home win, including an opening goal from Didier Drogba. The re-ignition of the golden oldies and the new-found harmony in the dressing room was crucial to the 41 year-old Italian’s success and led him on to do an unprecedented double, winning both the FA Cup, with a 2-1 defeat of Liverpool in the final, and the Champions League, after getting through both Barcelona and Bayern Munich – yet again the Ivorian talisman getting on the score sheet for each of those games. Forever will Didier Drogba be known as the best performer on the big stage after scoring the winning goal in the FA Cup Final against Liverpool and heading in an 88th minute equaliser in the Champions League Final, not to mention finishing the game with the winning penalty. At the age of 34-years-old, there is no doubt the African powerhouse is still a magnificent player and many will say he is the best in the world at what he does. In both the Champions League semi-final and the final, Chelsea were playing with their backs against the wall, and if there is one man you want to boot it up the field to and bring it down under control, it is Didier Drogba. The ‘nine goals in nine cup finals’ hero will always be remembered as a Chelsea legend, and his humble exit will be have a bittersweet effect on the fans, who will be somewhat disappointed he was not offered a new contract. For many supporters, it is an end that has come too soon and there is no doubt that fans will be devastated that he’s going, but the monumental symbolism of his last kick of the ball for the Blues will stay in the hearts of Chelsea fans forever. With the big clubs looking to strengthen their squads for 2012-13, there is a likelihood that a number of fringe players will be sold on. Here are six Premier League strikers likely to be looking for a new club this summer. Although experiencing a great start to the 2011-2012 season, scoring seven goals in the first four matches for the Blues, a year spent in the shadow of Argentine team-mate Sergio Aguero has been disappointing for the Bosnian hit-man. 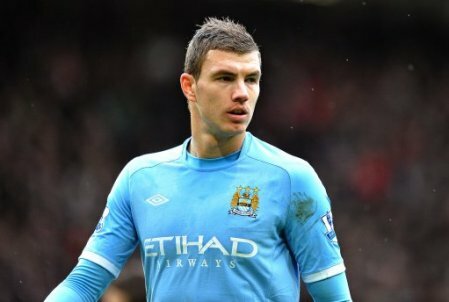 Already proving himself as a dangerous Premier League forward, Dzeko will look for new ground come next season and with another big-money forward likely to join Roberto Mancini’s men in the summer, the £27 million forward will want to get first-team football elsewhere and there are many clubs that will want him. It has been a strange season at Old Trafford for the Bulgarian forward, who has experienced a game drought at the beginning of the season, a fantastic December – scoring six goals in three games – and a disappointing finish. The Manchester United outcast will want to find a new club next year after demonstrating his ability when he has had the chance. Valued at around £10 million, the 31-year-old forward would be a great signing for any club in need of a goal-hungry poacher. Although known for his laziness, there is no doubt that many sides will want him come the summer. For Marouane Chamakh it has been an awful season, scoring only one goal in 21 appearances for the north London outfit, and although signing on a free transfer from Bordeaux in 2010, the Moroccan forward has been a big disappointment. With the signing of Lucas Podolski, there will be no space for the target man in Arsene Wenger’s plans and it is possible he could make a move back to France very soon. The Premier League has proved to be just too much of a challenge for the 28-year-old striker, who will be frustrated with his unhappy time at Arsenal. Super sub Jermain Defoe, much like the others mentioned, has had a year spent watching from the sidelines, as Manchester City loanee Emmanuel Adebayor has led Tottenham’s front-line this season. The unsettled 29-year-old has been linked to a £10 million move to Anfield and has also been connected with a transfer to promoted side Reading. 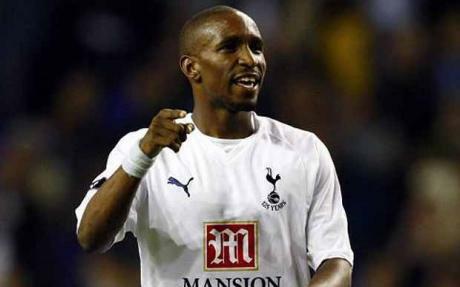 Although Harry Redknapp is keen to keep him at Tottenham in the summer, Defoe is dying for first-team football and there will be a number of new options for him if Spurs are willing to sell. 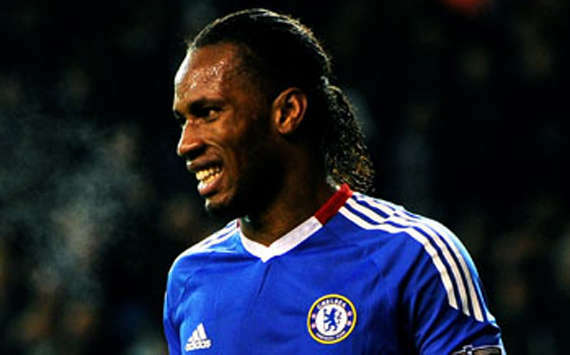 With an expiring contract in the summer, 34-year-old Didier Drogba is set to make a departure from his beloved Stamford Bridge after eight years of dedicated service. Scoring vital goals in the cup competitions this season, the Ivorian target man will play a vital role in the Champions League final against Bayern Munich and will be intent on having a last surge for European glory. It is rumoured that Drogba could make a mover to either Shanghai Shenhua – to join former teammate Nicolas Anelka – or possibly back to former club Marseille if a contract extension of two years is not offered by the Blues. 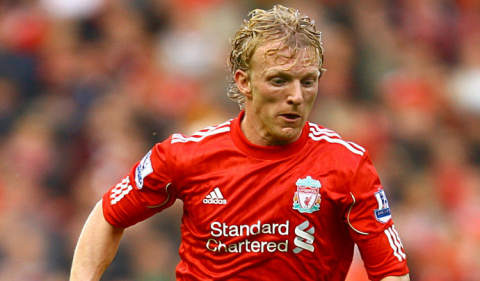 Dirk Kuyt has been a loyal servant at Anfield since signing in 2006 and has proved a important player for King Kenny’s side this term, scoring the equaliser in the extra time of the Carling Cup final and leading them on to win on penalties. There has been much speculation over a return to Dutch side Feyenoord, after admitting that he wants to go back, but for the 31 year-old the deal would be now or never and with a Liverpool team on decline, it looks like the Dutchman is set to make a return to Rotterdam.